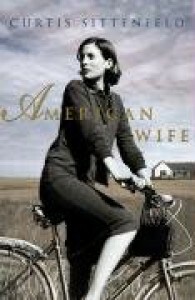 i enjoyed "american wife" very much. the first half of the book was more enjoyable for me than the second half, and i never did find charlie to be more than a stock buffoon. it wasn't until the end of the novel that i found myself understanding alice completely...her motivation or perhaps i should say...what i perceived to be a lack thereof...and her conflicts became real and i could relate to them...even though she became "first lady," she stayed "alice" for me, and i think that's a true testament to sittenfeld's writing.